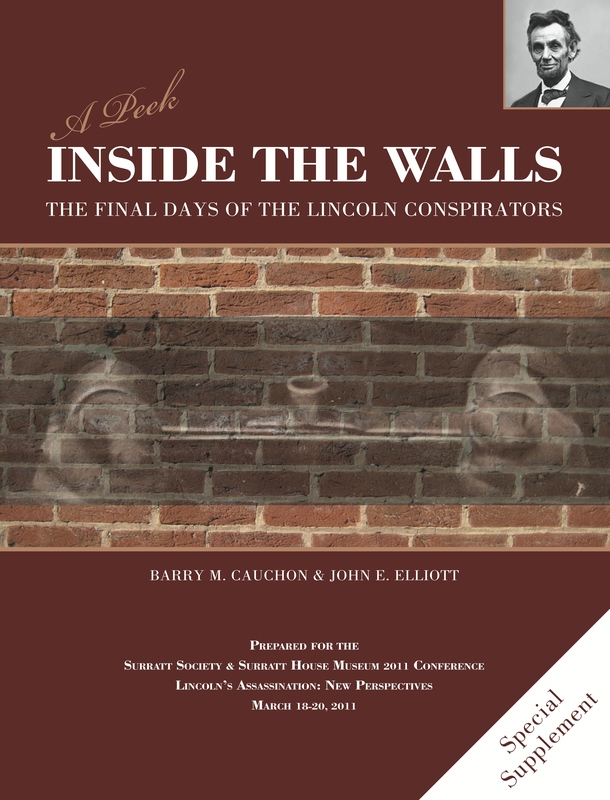 Hi folks: It’s less than two weeks before John Elliott and I present our work at the Surratt Society and Surratt House Museum 2011 Conference: Lincoln Assassination: New Perspectives. We have been told that this is the largest attendance they have ever had in the 12 years that the conference has been run. Congratulations to all the wonderful people who have had a hand at pulling this together. I am really looking forward to meeting old friends there as well as making a whole bunch of new ones. More than a few attendees who have written me have mentioned that they are going there just to see me speak. I am honored by their comments, thankful for their support and very happy that I have something that people want to hear. I will say that I am also very humbled by their response. I feel that I just “do what I do” and hope everyone enjoys it. But thank you for the support. I will try hard not to disappoint. I am a team player and love working with others. Other than this blog that I do maintain on my own, the book, my research activities and conference talk have all been a collaboration. I always learn from the experiences and love sharing the information with you. Researching and pulling a book together is no easy task. Preparing for a conference might seem easier but in fact can be just as difficult. The main reason for this posting is to acknowledge all of the people who have supported me during my time in the limelight…even if this limelight was created by myself…LOL. Everyone listed below (and forgive me for missing any of you) has directly or indirectly supported me with their friendship, kindness, encouragement and valuable information and assistance. It was about time that I really said thank you to each and every one of them. All the great folks at the Library of Congress, National Archives, University of Chicago The Joseph Regenstein Library Special Collections, National Defense University Library, Ford’s Theatre, Andersonville Guild Drummer Boy Civil War Museum and the Surratt Society and Surratt House Museum. 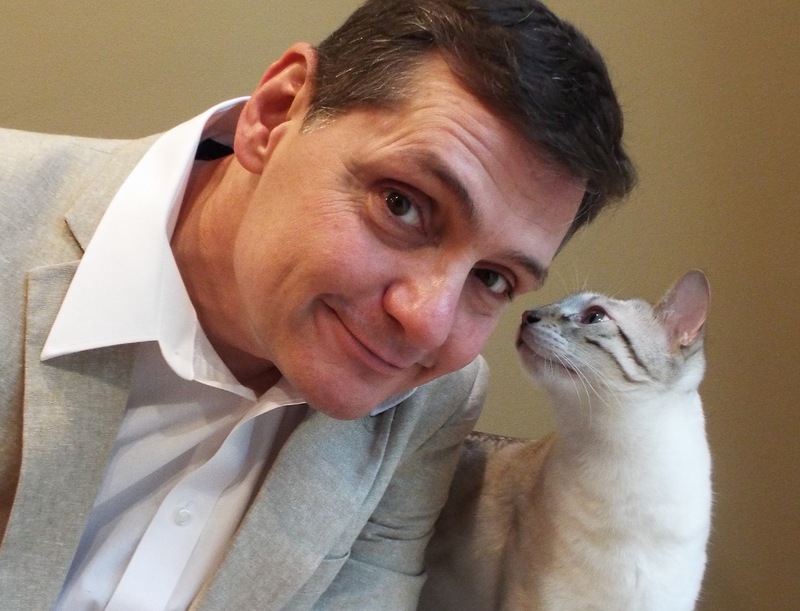 Special thanks go out to my writing partner and friend, John E. Elliott, without whose help and support, none of this would have been possible. And finally, to all the students, followers and readers of my blog who have added so much to make it shine. I can never thank you enough. 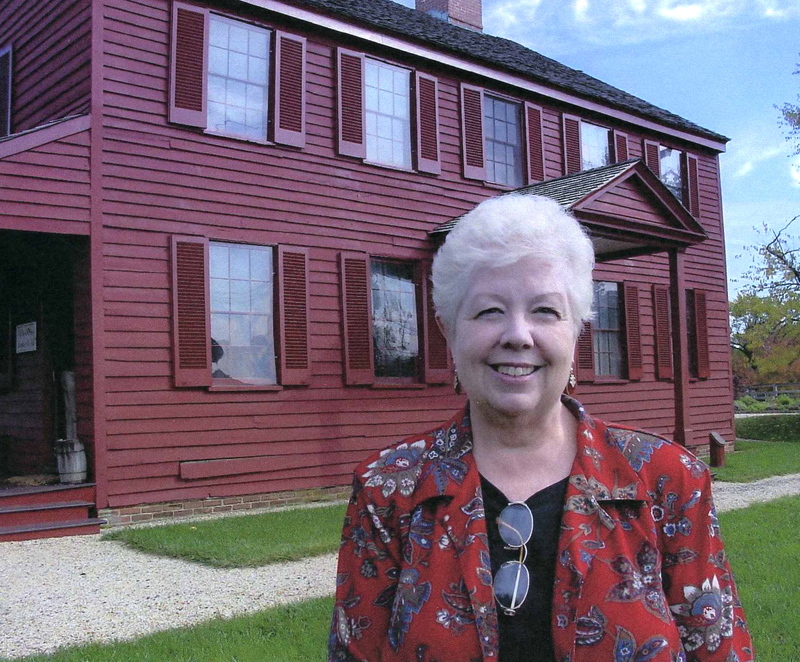 I am very pleased to present my interview with Ms. Laurie Verge, Director of the Surratt House Museum in Clinton, Maryland and senior volunteer for the Surratt Society. 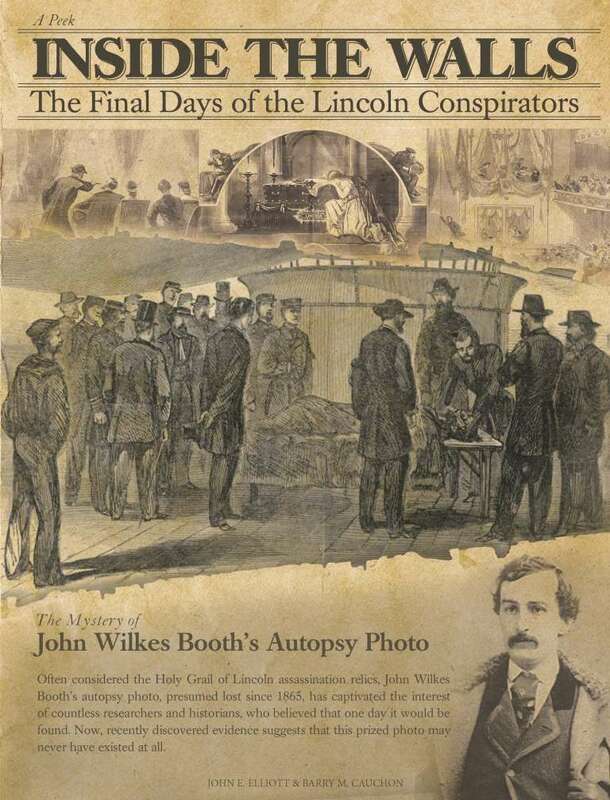 Our talk was recorded on April 14, 2010, the 145th anniversary of Abraham Lincoln’s assassination. For over a year Laurie and I have been trying to make this interview happen. So when I picked one of the busiest days of the year from her calendar, she was just masochistic enough to say “Let’s do it”! 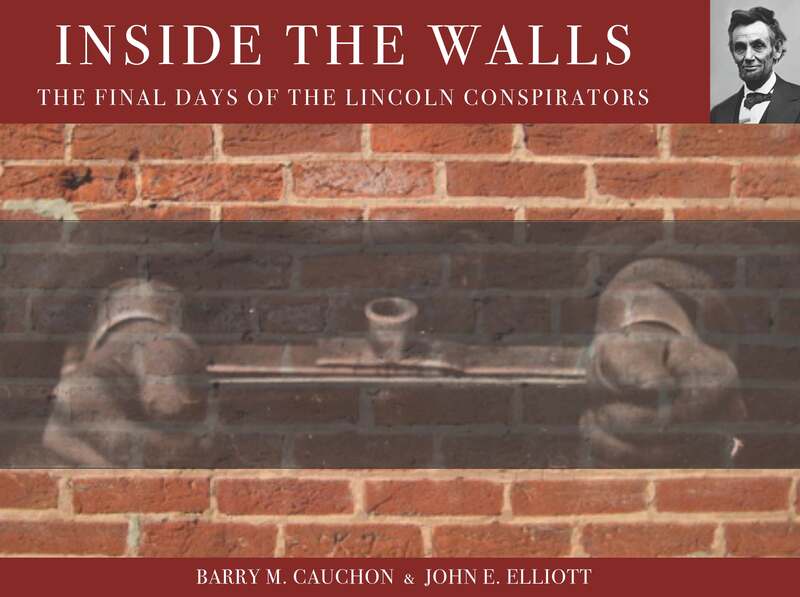 For anyone who has been involved in Lincoln assassination research, then you will probably know Laurie’s name quite well. She is an organizer, a teacher, an enabler and a matchmaker all rolled into one. She can make things happen and my personal experience with her has been very gratifying. With regards to being a matchmaker, she has directed me, along with so many others, to research specialists in the field of Lincoln assassination research and now sends inquiries my way as well. What goes around, comes around and I’m very happy to help her whenever she calls. The research community is close and works well together. Laurie certainly acts as one of the main points of entry and you will not find a more cordial and helpful person when it comes to guiding you in the right direction. High Profile Projects that the Surratt Society has been involved in. 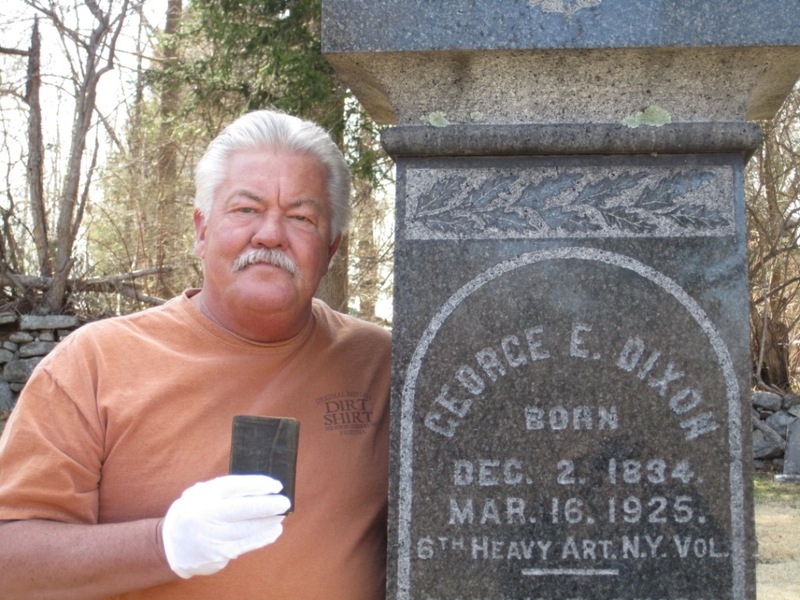 Ed Isaacs holds the diary of his great great grandfather George E. Dixon. Life has a way of blessing you when you least expect it. Call it karma, good luck or maybe even a genuine intervention by a higher power. I personally believe that things happen for a reason and so when this story began about two weeks ago, I can say that I was blessed again. A kind and humble gentleman by the name of Ed Isaacs, a retired fire fighter from Norwalk, Connecticut wrote to me saying that he had just come into possession of the diary of his great great grandfather, George E. Dixon. George was a Civil War sergeant in Company C of the 14th Regiment Veterans Corp; the regiment that was assigned to guard, and eventually take part in the executions of several of the Lincoln assassination conspirators in 1865. This was extremely exciting news for me as this is the focus of my current research. Once Ed shared some of the contents of the diary with me, I knew I was seeing something that was never before on the public record. The diary is the first known document found to list the names of the guards and their duties guarding the prisoners. It also adds another perspective to the story. It’s a first hand account, documented in the handwriting of the man who was actually there and participated in this famous historic event. From a researcher’s point of view, George E. Dixon’s diary is a great find. And as you’ll read, Ed Isaacs’ efforts to share this as well as honor the members in his family tree are genuinely uplifting. I am happy and honored to share this story with you on his behalf. Enjoy. B.Hey Ed. How are you? E. I’m good and ready to go! B. (laughing) Alright then, let me start by asking you where you live and what did you do for a living before you were retired? E. The answer to that is I live in Norwalk, Connecticut. I just recently retired on Saint Patrick’s Day, March 17th of this year from the Norwalk Fire Department with nearly 32 years on the job. E. Yup. It was a good career. I took good care of my family with that. B. Let me ask you about two associations that you are affiliated with. You are a member of The Sons of Union Veterans of the Civil War and a member and past president of The Sons of the American Revolution. B.What are those organizations and how do they serve their members? E. These are hereditary societies whose missions are to preserve the ideals our forefathers fought for during the Civil War and the American Revolution. I was the past president of The Roger Sherman Branch, Connecticut Society Sons of the American Revolution. I had three ancestors that were in the Revolutionary War and they were Amos Dixon, John Saunders and Samuel Brown Isaacs. And then I became a member of The Sons of Union Veterans of the Civil War and my ancestors there of course were George E. Dixon and Edwin Lorenzo Tuttle who fought in the 5th Regiment Connecticut Volunteers and then he reenlisted into the 17th. B.And the reason we are talking here today is because of your great great grandfather, George E. Dixon. Sergeant George E. Dixon wearing his medals which can be seen later in this article. You contacted me by email back on March 23 and I’d like to read a portion of that note now. 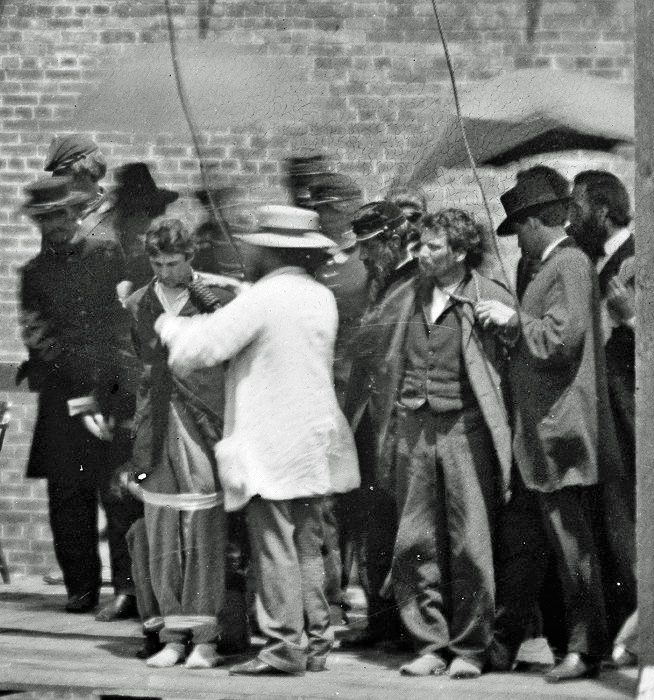 May 16, 1865: On guard at the old penitentiary over the Booth party conspirators. I was in the court room during the day while the witness’s were being examined. I saw the bullet that killed the President, also the pistol and two carbines. Booth’s photograph and the boot that was cut open to take it from his broken leg by Dr. Mudd. July 7, 1865: On guard at the penitentiary. 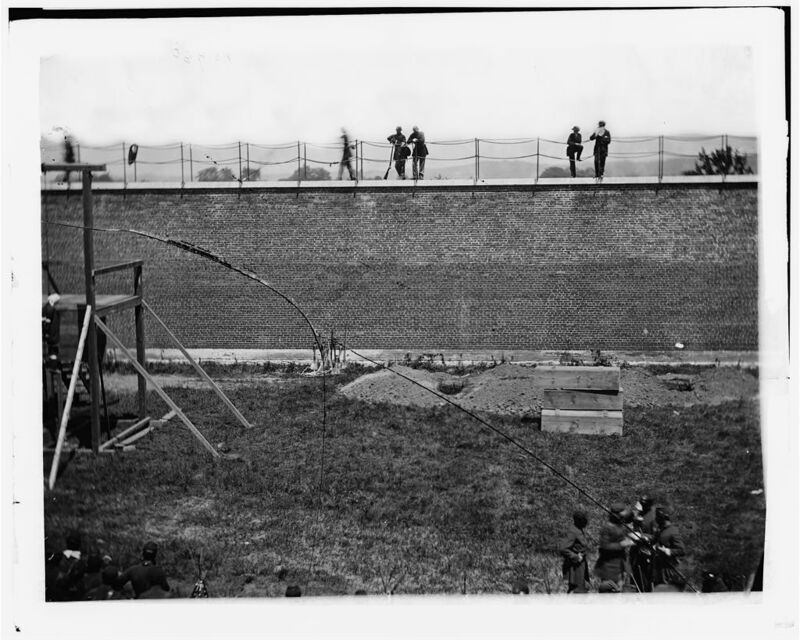 The execution of Surratt, Payne, Atzerodt + Herold. I hope you find this interesting”. Well Ed (laughing) the first thing that I thought to myself was ‘DAH! Of course I’d find this interesting”. For me, this is great stuff. This is sort of what I specialize in and so I was dying to talk to you and I’m glad that we now have a rapport and are talking more and more about this. So of course, when I eventually got the diary this is what I expected to see. I’ve never seen this line in here yet! So, it could have been hearsay from his wife or a child. But the information I did find was pretty fantastic. B.So that quote is actually not in the diary from what you can find so far! E. I have not found that quote. Nope. B.George lived to be quite old. And two things I’ll ask you to explain to everyone are ‘Who was George Dixon’ and ‘what was his history’? E. George E. Dixon was 90 years old when he passed away. He was a Civil War Veteran who resided in Pound Ridge, New York. He was well known to the people of Stamford. He was the driver for an old mail and passenger stagecoach line for many years. He was born in Pound Ridge on December 2, 1834. George E. Dixon's business card. He attended the schools of that district. And on April 4, 1859, he married Sarah E. Birdsall, a native of Pound Ridge. After the Civil War broke out, he volunteered for the service of his country, joining the 6th Regiment New York Heavy Artillery. He was mustered in at Yonkers, and went to a training camp for three months. B. [NOTE: At this point in the interview I interrupted Ed with another question and we never got back to George E. Dixon’s history, so here is the rest of it before we pick up the interview again]. He enlisted as a Private in the 172nd Infantry Regiment New York on September 6, 1862, at the age of 27. He was transferred into Company M, 6th Regiment New York Heavy Artillery on December 4, 1862. He was transferred on January 26, 1864 from Company M to Company A. He was wounded on June 20, 1864 at Petersburg, Virginia. He was transferred to Company M, 6th Regiment New York Heavy Artillery on January 19, 1865 and then transferred to Company C, 14th Regiment Veterans Reserve Corps January 19, 1865. On July 7, 1865, he was appointed Sergeant in Company C of the 14th Regiment of Veteran Reserve Corps to rank as such from the 1st day of July 1865. During the war, he was twice wounded in action and fought in the following battles: Manassas Gap, Mire Run, Wilderness, Spotsylvania, Harris House, North Anna River, Totopopomoy, Cold Harbor, and Bethesda Church. In this last battle, he was wounded when the handle of a musket was shot off and later, at Petersburg, he was shot in the right arm. He was honorably discharge July 31, 1865. Just prior to his discharge, he was present to witness first hand, a chronicle of American History. During his final service in Washington, DC, he served as sergeant of the guard at the penitentiary in Washington where the persons implicated in the death of President Abraham Lincoln were kept and later was in charge of the guards at the execution of Mary Surratt, Lewis Payne, George Atzerodt, and David Herold, who were involved in the assassination plot. Following the war, he returned to Pound Ridge where in 1868, he was given a contract of carrying mail between Stamford and Pound Ridge; a position which he held for 22 years. At first, he only carried the mail three times a week but, later, the number of trips was increased to six. When the rural routes were instituted, he continued carrying freight and passengers until 1916. Ninety-year old George E. Dixon died on March 16, 1925; just 19 days shy of his 66th wedding anniversary (April 4, 1925). He was one of the oldest members of the Charles A. Hobbie Post #23 of the Grand Army of the Republic located in Stamford. At the time of his death, he was survived by four children – Charles L. of New York City, Mrs. Ada Isaacs of New Canaan, Myron A. of Stamford, and Wilbur of New Canaan: his wife, Sarah E., and 14 grandchildren and 15 great grandchildren. George and Sarah Birdsall Dixon on their 65th wedding anniversary. B. You sent me two pictures of George, one of him and his wife and the other being a family portrait. I guess these are both from their 65th wedding anniversary on April 4, 1924. Is that correct? [Note: Just last Saturday, April 4, 2009 would have marked George and Sarah’s 150th wedding anniversary]. E. That’s correct. At their home which we referred to as “Charter Oak Place”. B.In the family photo, is there somebody there that you are directly related too? E. The young couple right behind Sarah and George were my grandparents. The young gentleman is Clarence Isaacs and his wife Muriel. It is very sad how things go because that picture was taken in April, 1924 and my father had just been born in February of that year. My grandmother, Muriel died the following year at only 21 years old. My grandfather Clarence died at 30 years old in 1927. So they didn’t have a great long life, yet Clarence’s mother Ada, who’s standing right next to him, lived to 96 years old. That’s Ada Dixon Isaacs, my great grandmother. E. …you don’t know what tree you’re going to be in. Right! B.When did you first get interested in your great great grandfather? I know you have some items of his as well as his diary. E. Well first, the items that I have, I didn’t have to worry about collecting, outside of the diary, because the items were already here. My father was a great collector. In my family, we save everything. I’vegot a bible from Samuel Brown Isaacs who was in the Revolutionary War and I’ve got a powder horn from Amos Dixon. But the question is always asked “When did I get interested in it”? Like a lot of people would say “When your parent dies”. My dad was very interested in our family history. And of course when I lost him in 1990, I’d always remember as a young kid when I was 10, 12, 14 years old, the many weekends we would spend going to a cemetery, a library, a town hall or somewhere always looking for facts on family. And that’s what we did. And of course as I came up on sixteen years old, I’m looking at my watch saying “Dad, I got a date. I gotta get out of here”. I didn’t show as much interest then. But when I lost him it became one of the most important things in my life. Honoring my ancestors is honoring my father, Howard R. Isaacs. My family has a lot of history in this area. Ralph Isaacs and Mary Rumsey Isaacs settled in Norwalk in 1725. My family has not moved more than 20 miles in 284 years. B.What are some of the items that you obtained from your father? E. I have George E. Dixon’s certificate promoting him to Sergeant. I’ve got his pension paper. I’ve got original news articles about George and Sarah’s 65th wedding anniversary and of course the article on his death. I’ve got many photos including George with family members in front of his home “Charter Oak Place”. I’ve got a medal given to him for serving in the 6th Regt. New York Heavy Artillery, Army of the Potomac and his GAR [Grand Army of the Republic] medal. And now I have his diary! B.Well, let’s talk about the diary then (laughing)! When you contacted me on March 23 you had only just received it a few days before on March 18, so you haven’t had it that long. E. When it arrived at my house in the envelope I did not open it. I needed to relax in anticipation of what I would discover. I just put it downstairs in a safe place until Sunday the 22nd and that was the first time I opened it. I was just so relieved. B.How long have you known of its existence? E. I didn’t know if it still existed. All I had was just a copy of his obituary that said “…in his diary” and that one quote that I haven’t been able to find. But I didn’t know where that diary could be. So really, the story of how I got it is very interesting. B.I’m sure. Can you tell us? E. Before I retired, I was looking at family members’ histories and went on Ancestory.com. I started loading the names of different family members that I had, on it. I looked at photographs of George and Sarah and the extended family. One of my parents had put the names of the different family members on the back of the photos. So I just started looking at the different names and I found one, that was Floyd E. Dixon. I put Floyd E. Dixon into my family tree just looking to see who else would be searching for this particular Dixon and I found one that matched exactly. And then of course, I made a phone call to Maine to Pamila Dixon Tift and said, “Hi, I’m your cousin”. I started sending her a lot of information about our great great grandfather. When I sent her a copy of George’s obituary talking about his diary, she called me back and said she had that diary. E. Needless to say, I nearly fell out of my chair here. But I had to keep my wits about me. Through many emails and conversations over the next week or so I let her know that since I had everything else of his, and I’m only minutes from Pound Ridge where he lived; and I visited the home where he lived many times… that the diary needed to be here. I was very fortunate that she agreed with me. If anything else was interesting, she told me that she put it in the mail on March 16th and just by coincidence, I looked at his obituary again that night and noticed that March 16, 1925 was when he died. So everything has a meaning. The resting place of George E. Dixon, Sarah Dixon and Ada Isaacs. B.Yeah for sure! What an amazing story. It sounds like coincidence but perhaps it’s not. It goes deeper than that and was meant to be in your hands. B.When you first opened the diary did you focus on any one page after you looked through it? E. The main one for me was of course the page we just talked about where he was an eyewitness in the courtroom when the witnesses were being examined. That one, and the other page that’s seems to be the one getting us all really excited, page 27, with the names of the guards and executioners. I didn’t have a clue what anything on this page meant, so I contacted you. Page 27 from the Dixon diary. B.At first, when you sent me a photo of the page, we were debating whether the list of names was of guards or prisoners. Well it turned out that it was a list of guards from the 14th Regiment Veterans Corp.
A list of men from the 14th Regiment and the schedule of cells they were assigned to guard. But the names that really jumped out at me were the four at the bottom of the page [#15, 16, 17 & 18]. And those were the names of the four guards that stood under the scaffold and who were responsible for knocking the props out, or springing the traps. 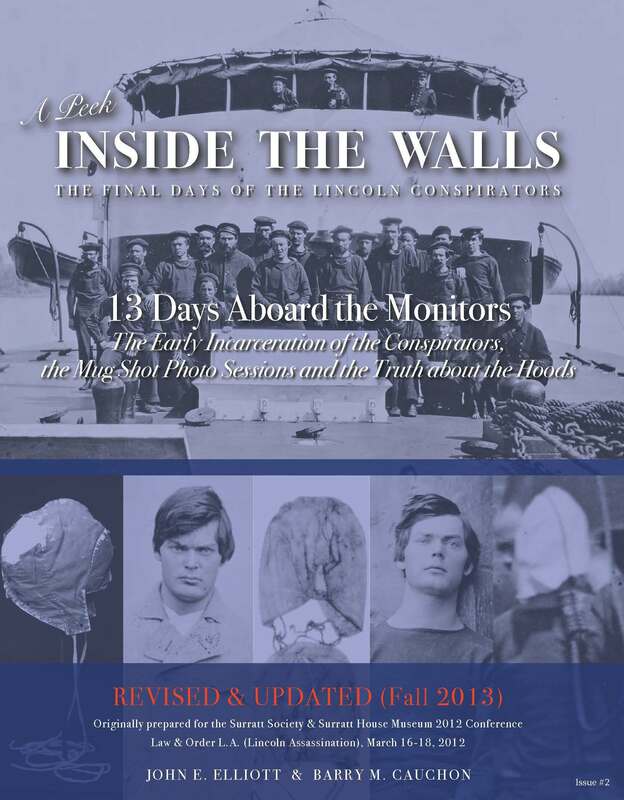 Although some of the names are spelt incorrectly, the names of the four soldiers who sprung the traps at the conspirator executions are in Dixon's list: William Coxshall, Joseph Haslett, George F. Taylor and Daniel F. Shoupe (Shoup). The note that George penned indentifying the four men that sprung the traps at the execution. I guess as we’ve talked a little bit further it sounded like George, at the time being a Sergeant, perhaps was in charge of scheduling some of his men to guard the prisoners, hence his list of guards names. E. These names didn’t mean anything to me because even though I have my family here that I honor very much, I didn’t follow the history as much as I should. But now I’ve started looking into it more. As you know I’ve bought the book “American Brutus” by Michael Kauffman and I have just bought “The Trial” by Ed Steers Jr. That’s just about twice as many books as I’ve probably ever read in my life. B. (laughing) Well the two authors you mentioned are both excellent in this field. The field of the assassination. E. Oh yes. It’s very exciting. B.On your behalf, I did approach some of these gentlemen who I correspond with and respect highly. And right off the bat we had a really good response from Michael Kauffman. I think his first response to me, before I passed it on to you, was “WOW”! So it really meant something to him as it related to his own research. I know that he is now working with you to further discover what other information is to be found in that list as well as in the other pages of the diary. Michael is definitely excited about the project. I have had responses from other Lincoln experts. Some are quite busy right now. But eventually these folks will get back to you as their schedules free up. E. I know for sure that this has to be exciting for some of them just like when you contacted me. If someone is going to give you his cell phone number you know that they are interested. To get the home phone number from Michael Kauffman or to hear from Laurie Verge, I mean that is very exciting and I’m very honored for George E. Dixon. I really am! B.Laurie Verge is the Director of the Surratt House Museum and Surratt Society. She is quite interested in collecting whatever information she can on George, putting it into their files, so any future researchers have an opportunity to explore him and see how his life relates to perhaps the research that they are doing. It’s an exciting time, Ed! E. It really is. When I retired on March 17, officially after the 18th, I wondered what I was going to do other than feet hitting the floor in the morning and going to get a cup of coffee. I’m still not that old but I plan on doing something down the road. But to have this happen, there isn’t a day right now where I don’t have something to do. I’m doing a newspaper interview tomorrow in George’s hometown of Pound Ridge at 10:00 o’clock. It’s all about honoring George and it’s a great thing. I’m really enjoying it. B.Do you have children Ed? E. I have a 19-1/2 year old daughter Emily and my son will be 18 in June and that is Christopher. B.Do they find interest in this or are they sort of like how you were back when? They have their own life right now! E. Just like me! (laughing). E. My wife is very good with this. She understands that not everyone is into this when you are a teenager. But everything is going to be put away safely and catalogued somehow so they’ll have things to look at and be proud of when they do show interest. My son is also a member of The Sons of the American Revolution. And in December of this past year I got my daughter into The Daughters of the American Revolution. So they are good to go. It is just a matter of what they want to do with their lives and their time. But they are good to go. B.What’s your hope for yourself now that you are retired? E. Now that I have the Dixon diary, I can see my first book. I can see myself going on some talking tours. Maybe do some schools. It would be very interesting once I figure out everything. It’s nice to say that you’ve got something but you want to make sure that you know what you are talking about. If I can put something together, I would enjoy it. I really would. It’s a nice thing and so many people are interested in the Civil War and of course the assassination of Lincoln. It’s a lot to go over. It really is a lot. B.Well it’s a great part of our history and the Dixon clan has been a part of it for decades, for centuries. And you must carry on the tradition. E. Exactly. There you go. B.Well Ed, this has been great. And you and I will obviously be talking well beyond this interview. I think there is a lot more to look into and as we start to pick it apart and figure out which way to go, I’m glad you’re taking me for the ride. E. I feel I’m honored to have you ask me these questions. I’m very excited. 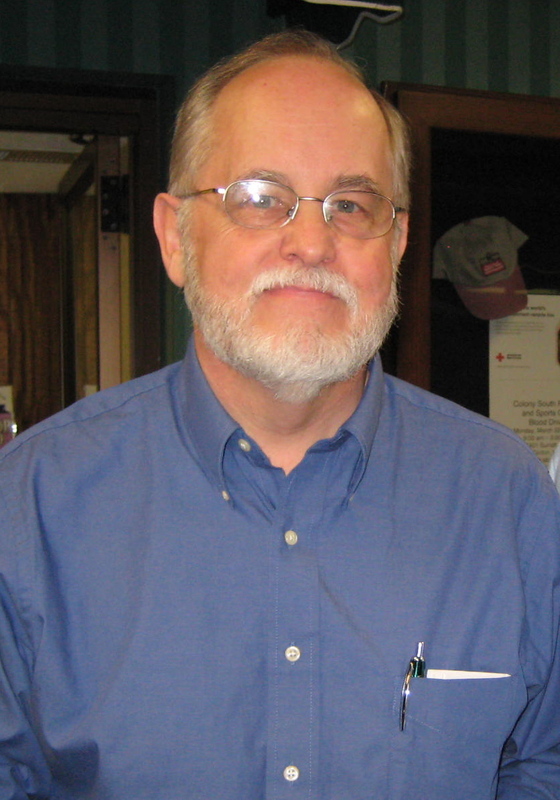 And as I’m sitting here looking at my computer now I see this picture of Harold Holzer, the eminent Lincoln scholar and Civil War expert. And thinking that you’re interviewing me, and you’ve interviewed him and some of these other guests, I’ve got some pretty big shoes to fill. E. I’m floating on a cloud right now. B.I have to thank Harold because he was my first interview. He actually contacted me when I was searching out some information for another gentleman who had written me. He is a gracious man and always very generous with his time, and I will always be grateful to him for that. E. You have a great website. And of course as you already know, the short article that you put on there about me yesterday, I’ve already sent out to many of my friends (laughing). E. You’ve got a lot more followers now, I tell you! B.Thank you. It’s been a pleasure speaking with you Ed. E. Again, I’m just very excited and very honored. B.You’re a good man Ed and I’ve enjoyed learning about you, your family and George E. Dixon. Thanks again.